Striking bright foliage makes this plant a stunning acquisition – potted beautifully into a white geometric vase. 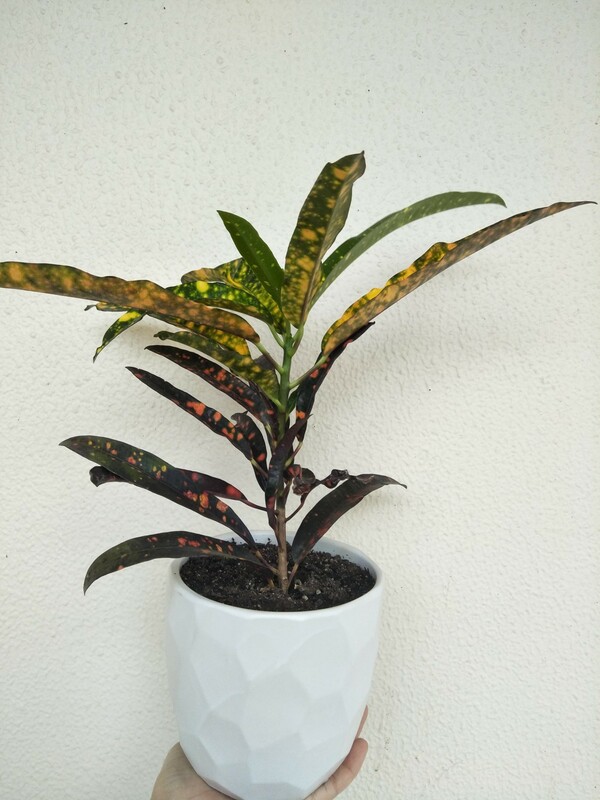 Perfect for an indoor plant during the colder months in your house or in an office. This plant loves more humid environments and can tolerate sunlight too so can be moved into the sun in warmer months.